This is the #1 performing store in the Northeast. Current owners are selling as they are retiring. They have built up a stable business from $100,000 in sales to over $700,000. This is an excellent store, systemized to the 10th degree for smooth and consistent continuation sales and profits. there is a growing and longterm customer base in this solid business which has a huge market potential and good solid staff all in place. Perfect opportunity for a new owner to take over this profitable business and start trading immediately. This is a business opportunity where every household, company and organization in your community is a potential customer. Why choose a Cartridge World franchise? 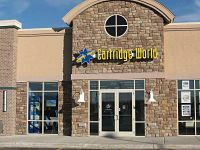 Award-winning Cartridge World is the leading global franchisor in the printer and printer cartridge consumable industry, with over 1,000 locations in 55 countries and growing. Cartridge World operates in an $80 billion global industry where every household and enterprise needing to print is a potential customer. Cartridge World provides a consistent, high-quality product that is uniquely controlled to guarantee end-users, return time and time again. As a franchisee, this is your key to building a meaningful and rewarding business. We are an established global brand and have been in existence for more than 20 years. This is so important when considering a franchise investment. But we have not stood still in that time; in fact, we have evolved into leaders within the print consumable industry, pioneering new innovations that can provide new revenue streams for our global franchise network. Cartridge World’s award-winning brand and global recognition, new revenue streams, the Global Procurement Center, innovations in the mobile printing sector and worldwide reach in 55 countries with more than 1,000 franchise locations sets us apart as an industry leader and makes it an exciting time to become part of our success and the Cartridge World global network. To find out more about this Cartridge World franchise for sale, please fill out the form below and submit. Tigard - Oregon - $0 SOLD!